IT infrastructure in the Asia Pacific market is steadily becoming overloaded. This is due to rapid growth in the region’s economy which has increased overall workload and demand that infrastructure. While Asia’s economic growth is obviously a good thing, traditional IT seems to be having a hard time keeping up in practically all sectors of the economy. Of course, the cloud is often an ideal solution, since it allows companies to establish scalable infrastructures. However, many decision makers resist the idea of replacing or upgrading their already existing (and often costly) infrastructure in order to invest in what they see as a gamble. Fortunately, there is a solution: the hybrid cloud model. Surveys of the region have noticed that cloud computing in the Asia Pacific region is quickly gaining a large market share. In fact, it seems that at least a third of existing IT departments surveyed plan to move to the cloud within the next year. The main reason why many IT decision makers are moving to the cloud is because its availability has increased in the recent months. 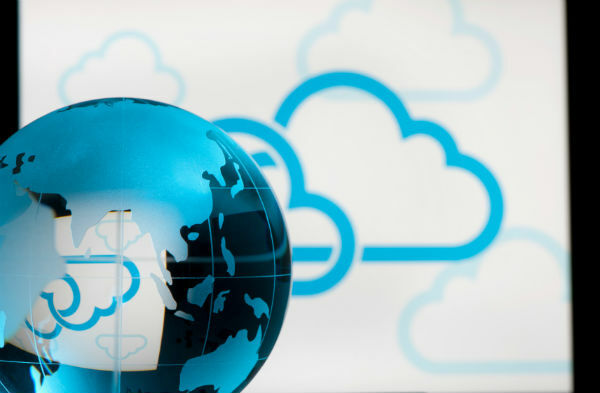 The flexibility of the cloud and ease of disaster recovery are also important reasons. It is important to note that disaster recovery is one of the most important concerns for IT decision makers in the Asia Pacific. There are very competitive markets in the region and a clogged pipeline, significant downtime, or other common technical issues can have important effects on a company’s bottom line and future growth. Because of this, companies are quickly turning to IT solutions that will allow them to keep pace with their competitors in terms of growth, while maintaining reliability and disaster recovery capabilities. One of these companies, GMO Cloud, constantly looks for ways on developing solutions in helping companies rid of these failovers. A high availability solution comes into play as most disadvantages mentioned are addressed in this type of strategy. As a result, surveys indicate that 2013 will be a very important year for cloud service providers in the Asia Pacific market, and today we are already seeing cloud technology vendors swoop in to claim their stake in the market. Nearly two thirds of IT decision makers polled in the survey above indicated that they plan on evaluating or implementing (or are currently using) a hybrid of existing data centers and remote servers owned by a cloud service provider. What is the main attraction of the hybrid cloud model for these companies? It is seen as an effective way to bridging the gap in IT infrastructure that exists because of a lack of resources or access to technology. The two main advantages of hybrid cloud infrastructure is that they 1) allow a huge amount of customization on the client side while 2) are more flexible than traditional IT or an entirely cloud-based approach. One of the main concerns for decision makers in the Asia Pacific region is effective network virtualization, especially in terms of being able to reallocate unused bandwidth and increase reliability and performance. Business needs are changing. The increased mobility of today’s technology and the demand for customized IT, coupled with the rapid growth in the region’s economy means that traditional infrastructures simply cannot keep up without help from third party servers. Hybrid clouds give companies the best of both worlds, the security of traditional IT with the scalability, customization options, and flexibility of the cloud. One of the reasons why demand for hybrid clouds has increased in the Asia region is the good reputation of the model. Companies already investing in cloud technology have reported very high levels of satisfaction and significant returns on investment, prompting competitors and other businesses in the region to implement these technologies themselves. Existing cloud service vendors with data centers and network virtualization should jump on the opportunity available in this market. Multiple sectors can benefit from an increased access to hybrid clouds, ranging from IT-related industries to companies in the financial or entertainment sectors. Our articles are written to provide you with tools and information to meet your IT and cloud solution needs. Join us on Facebook and Twitter.